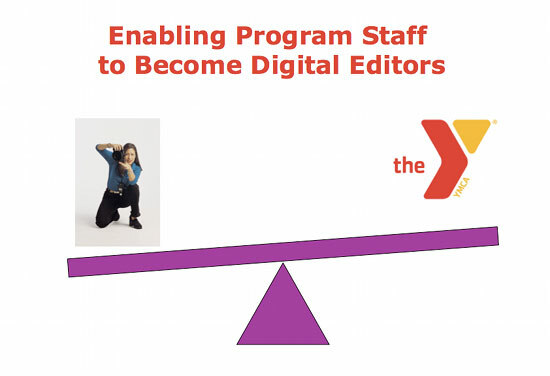 The YMCA is a great example of a nonprofit that understands the importance of having a comprehensive digital content strategy. Steve Heye, Digital Content Services Manager of the YMCA of Metro Chicago, explained at a recent NTEN Chicago conference that the YMCA not only trains their staff on how to use social media, but their strategy ensures that staff members understand the impact of their engagement and how to monitor their social media efforts. allow staff to work with the tools they are already comfortable with: strong writers to create blogs, social media gurs to operate Facebook, Twitter, etc. identify who to contact for help. Providing techology doesn’t magically create digital authors. Training, assistance and feedback are essential. As program staffers become comfortable with their roles as digital editors, it’s important to show them the impact of their social media efforts in a visual way to help them understand what’s behind all the numbers. A visual representation of the stats can provide a clearer indication of change — of where improvement may be needed in digital engagement. Imagine if making $5,000 for your nonprofit cause were as easy as clicking a button. This nonprofit did, and its cause went viral. The Hoshyar Foundation, a nonprofit aimed at educating girls in Pakistan, created an online presentation with software company Sliderocket, which with each view made a $1 donation up to $5,000. It’s a good thing Sliderocket put a cap on it, or the company would be out over $173,000. The presentation (see above) went viral, reaching around 30,000 views within the first month. It also went global, an unexpected bonus for Hoshyar, a small organization that previously received donations from only a small group of patrons. Now, contributions and efforts are sent from countries all over the world like Spain and Greece. News even reached Dubai, where a curator of art exhibitions wants to present the video at an upcoming show for Mona Naqsh, a Pakistani artist. The U.S. donors have grown as well. “We get a steady trickle of PayPal donations every day as a result of this video,” says Carla Petievich, executive director and co-founder. How did Hoshyar do it? A member of the board showed the organization to Sliderocket, leading to Sliderocket’s decision to pair social good with launching its new product. 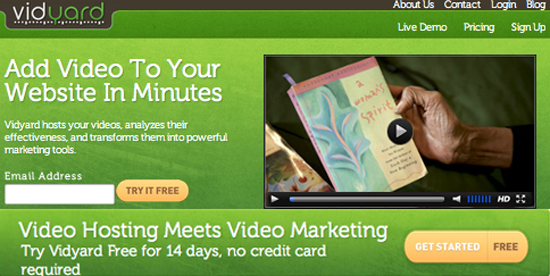 Sliderocket allows users to create interactive presentations more like Web pages than PowerPoints. The presentation spread like wildfire – a vivid example of how professionally produced multimedia can make a difference.